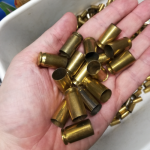 Range brass recycled from my local range. Price includes flat rate shipping. 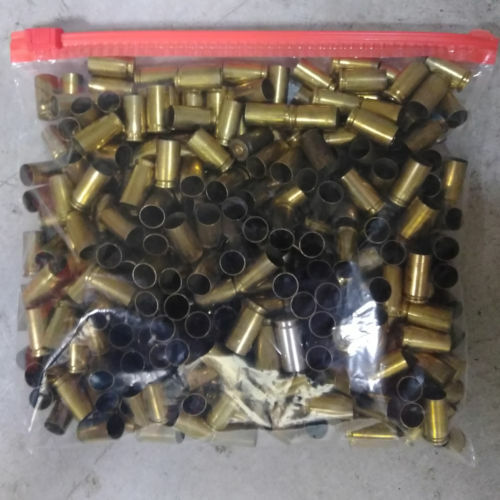 Loose packed in a small flat-rate USPS Priority mail box (2-3 day shipping). Unprocessed = It has been sorted but not tumbled, or polished, or cleaned in any way. Processed = Tumbled in a mix of corn cob and walnut media with a dash of brass polish. 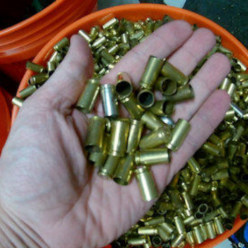 Cases are primarily brass, but some plated nickel cases may be included. Aluminum cases are removed. Approximately 380 pieces based on weight. CAUTION: In addition, these cases have not been inspected in any way. BUYER ASSUMES FULL LIABILITY AND RISK ASSOCIATED WITH THE INSPECTION AND RELOADING OF THIS BRASS. 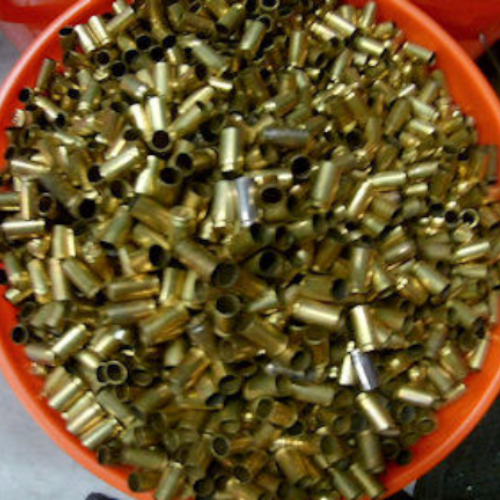 All due care should be exercised when reloading. 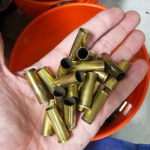 Always inspect each piece before and after reloading. When in doubt, throw it out.